Want to deepen your own yoga practice, become a certified yoga teacher, or have a transformational experience? Yoga Teacher Training might be for you! Hot Asana Yoga Studio is an approved Registered Yoga School (RSY) through the Yoga Alliance (YA). This program covers everything one would need to know and understand in order to lead a yoga class with confidence and grace. 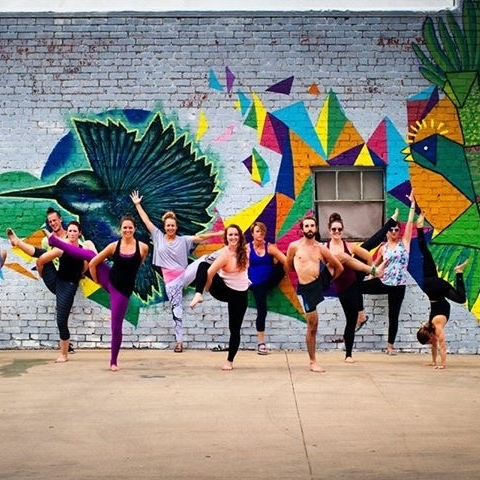 What sets our program apart from any other training around is the wide variety of styles of yoga we explore and our super fun adventures where we take yoga out of the box and into the world! Classes will be held Friday evening, Saturday afternoon and Sunday afternoon two weekends a month starting in March 2019. This training is designed for anyone that wants to deepen their understanding and practice of yoga. You will walk about with the knowledge, understanding, and credentials to be be a Yoga Alliance 200-hour RYT. Not sure if you want to be a yoga teacher? No worries. You will expand your practice, transform and walk away with a new yoga family. Want to be a yoga teacher? This training will prepare you to teach group and private class, give adjustments, modify classes for special populations and allow you the time and attention to find your teaching voice, if that is something that you are interested that is the path you are drawn to. Our Annual 200 hour training is a six month transformational experience, designed to expand your personal practice and prepare you to teach group or private classes with knowledge and confidence. We meet every other weekend and have designed our schedule to make it easy to fit into your everyday life. We utilize the East and West studio during the training, so expect to utilize the facilities at both locations during the training.It takes time to find your voice and expand your practice, don’t be fooled by “shorter” training’s. All 200 hour Yoga Alliance Approved training’s require 180 contact hours. We have chosen to not try to cram everything into super long weekends, but instead to set you up for success by giving you an opportunity to fully explore postures and concepts presented in the training and to put them into practice. What if i need to miss a weekend? If you need to miss a few hour of the training or an entire weekend, that's okay! You are allowed to miss no more than one module of the training or 13 hours. You are required to make up the contact hours that you miss by attending classes with the lead trainer. Access to online anatomy training that will give you access to video presentations on functional anatomy to enhance class discussion and reading. You have a chance to study anatomy at your own pace, go back and review, take quizzes, and learn at your own pace. 1 Month Free Unlimited Yoga (gives you access to classes at our East and West location. 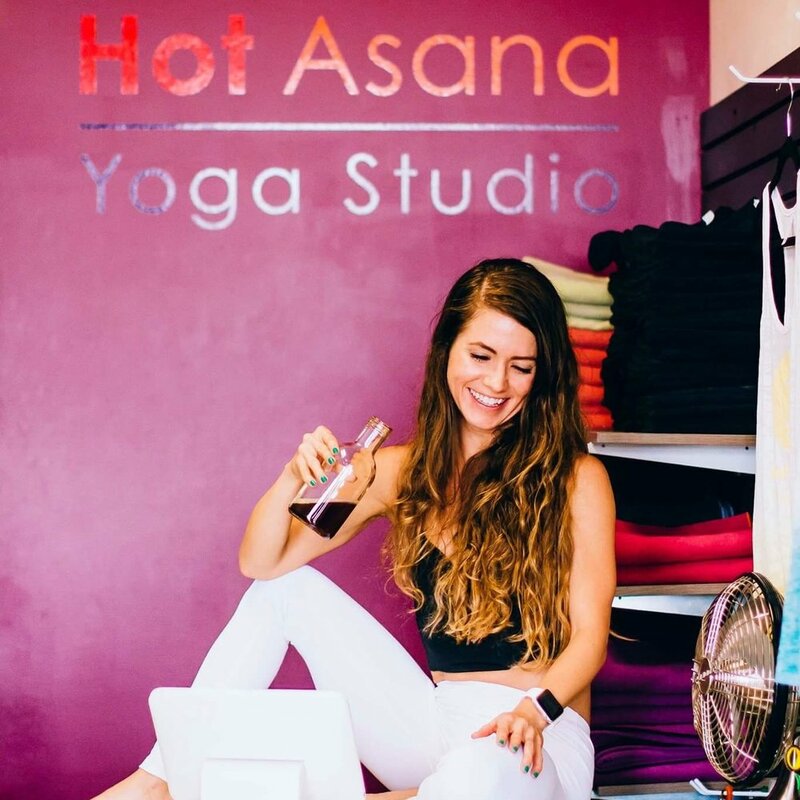 $30 a month for unlimited yoga at both Hot Asana Locations for the duration of the training. Explore postures and breathing techniques with a clear focus on alignment, modifications,, and adaptations for special populations. Practical and subtle aspect of teaching classes. Sequencing, hands-on-adjustments, use of voice and reading the room. Explore the history of yoga and it’s evolution. Develop on understanding of yogic philosophy and how to incorporate it into everyday life. Lead peers in classes and teaching community classes. Explore the art of giving and receiving feedback. Explore industry trends and develop an understanding of studio and gym operations, scheduling classes, marketing and managing private clients and group classes. I love teaching and practicing yoga! I am a registered, 500-hr Experienced Yoga Teacher (E-RYT) with Yoga Alliance. My mom dragged me to my first yoga class 18 years ago. It’s funny how sometimes those things we are so against end up being the things that truly support us and fuel our growth and expansion. I have been teaching yoga for 14 years, my unique style is a blend of Ashtanga, Iyengar, and vinyasa flow. Part of what keeps me inspired in my yoga practice and yoga teaching (I teach 20 classes a week) is that moment when the impossible becomes possible, finally hitting the pose or transition that seemed completely out of reach and absurd when I first laid eyes on it. That wide-eyed experience of the impossible becoming possible is what fuels my yoga practice. The idea that what I perceive to be true in one moment could be nothing more than a fiction is laid before me weekly in my yoga practice.